Can Health Systems Solve America’s Social Inequities? 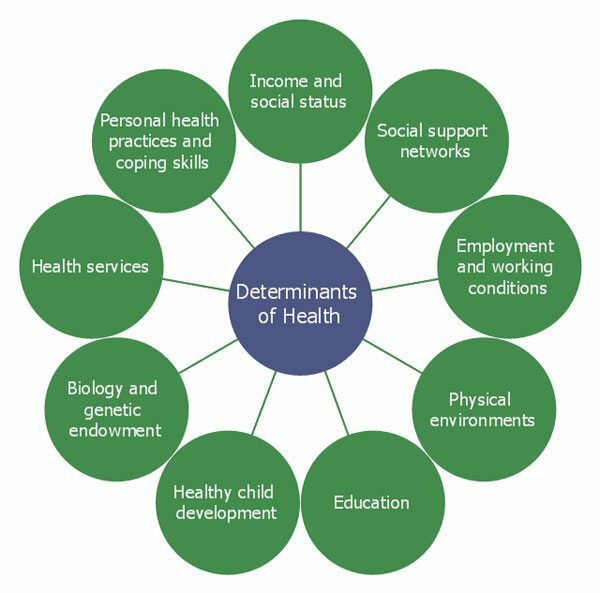 In its 2018 analysis of top issues facing the health care industry, PwC Health Research Institute, for the first time, identifies “social determinants of health.” Social determinants—the consequences of poverty, racism and other social inequities—have been shown to have a much greater overall impact on health outcomes than clinical care, which accounts for a mere 20 percent of overall health. As health systems move toward bundled or value-based payments, finding ways to address issues such as unstable housing, poor nutrition, inadequate schools, and unemployment, is essential to improving outcomes. PwC concludes that health care spending in the US, at 18 percent of GDP and growing, is unsustainable. To bring costs down to something more equivalent to what is spent in other wealthy countries—about 10 percent of GDP—the US must come to terms with its failure to adequately support poor and low-income communities. Kulleni Gebreys, a PwC principal for strategic transformation, explained to Managed Care that of every dollar the US spends on health care, it spends 56 cents on social services. In other OECD countries, the reverse is true: For every dollar spent on health care, $1.70 is spent on social services. The result is longer lifespans and better overall health. “Screening is critical,” says Samantha Morton, CEO of the Boston-based nonprofit MLPB. But often screening is followed by a referral to social service organizations that don’t have sufficient resources to meet community needs—meaning, according to Morton, that the referral is essentially a “bridge to nowhere.” If there is not a safe handoff and a feedback loop, there is no way for the health provider to know if the patient received the “treatment” necessary to solve the problem. According to the Deloitte survey, 40 percent of health care systems have no way of tracking their social interventions. Health systems are attempting to tackle a wide range of issues, including domestic violence, food insecurity, utility shutoffs, education, and jobs. But the issue that is getting the most attention and investment dollars is housing. Various studies have concluded that “housing-first policies” that provide shelter and supportive services significantly reduce health care costs. In Hawaii, state Senator Josh Green, who is also an emergency room doctor, introduced legislation to try to address the state’s housing and health crises. He noted that four percent of Hawaii residents use 60 percent—about $1.2 billion—of the state’s Medicaid budget each year, and a large percentage of these residents are living outside on the streets. A pilot supportive housing program that provided homeless people with stable housing and supportive services decreased medical costs for the population by 43 percent in just six months. Senator Green’s legislation would require insurers, including Medicaid, to pay for housing—that is, doctors could prescribe housing to treat homelessness. The bill stalled in the legislature, in part because prescribing a medicine that doesn’t exist doesn’t really solve the problem. Hawaii doesn’t have sufficient affordable housing, which raises a crucial question: Whose problem is that to solve? In many parts of the country, hospitals have decided that housing is too crucial to health outcomes to continue to wait for solutions. According to Healthcare Finance News, over the last several years hospitals have invested as much as $100 million into housing projects. For example, in 2015, five Oregon hospital systems invested $21.5 million in a project to build 400 units for homeless people. In December 2017, Boston Medical Center (BMC) announced a $6.5 million investment over five years in affordable housing in the hospital’s surrounding neighborhoods. The BMC investment is through a variety of community partnerships. Critical to the hospital’s investment is a plan to study the outcomes. Envisioned as an innovation lab, the hospital hopes to determine “the best ways that health care systems can improve both community and patient level health and reduce medical costs by addressing homelessness and housing insecurity,” according to a BMC press release.